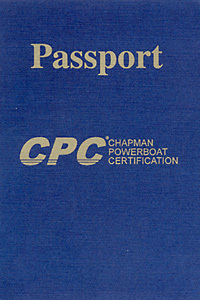 This is the first certification level in the CPC series and is specifically designed to provide the fundamentals of boating safety, and "on the water skills.” It is the foundation for future learning and is geared toward those individuals who are new to boating as well as experienced boaters with no prior formal training. Through Chapman School’s unique, "Learn at the Helm”™ teaching approach, students are able to combine elements taught in the classroom with underway practice onboard one of the Chapman School training vessels. This intensive 12 hour course may be taken as a stand alone program or as part of the CPC 1000 training and certification course. 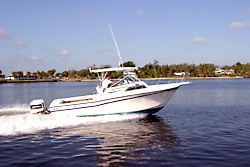 Training includes 8 hours of class time and 4 hours of on-the-water skills practice. Legal Requirements & Regulations - Boat Registration, Hull Identification, Safety Equipment. Getting Underway - Preparation, Float Plan, Leaving the dock or pier, Skipper's responsibility. 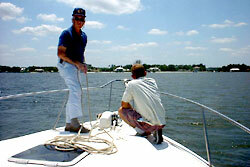 Operating Your Boat - Basic Rules of the Road, Vessel Right of Way, Aids to Navigation. Anchoring - Choosing location, Selecting anchors. On the water skills - Boat handling practice at the helm. Special Topics - Marlinspike (knots & lines), Weather, Hypothermia, Ski signals, Environmental Issues. Each class is limited to a minimum of 3 students and a maximum of 12 students. The minimum acceptable age is 11 years. Each student must submit a Registration Form completed and signed (by a parent or guardian if under 18). Students must have an official photo ID on the first day of class. Each student is required to furnish his/her own deck shoes. The Registration Form must be completed and signed (by a parent or guardian if the applicant is younger than 17) and returned to the Chapman School along with the $200 non-refundable deposit. All students who successfully complete the program will be awarded a "Certificate of Completion” from the Chapman School of Seamanship. CPC 100 certification will be awarded to students who pass the CPC written exam and the boat handling skills test given at the conclusion of the program. CPC 100 certification also earns a student his or her NASBLA "Boating Safety Identification Card” required of certain boaters in most states.